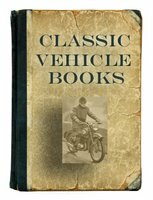 Aprilia motorcycle books includes the complete history of Aprilia by Mick Walker, plus many manuals. Aprilia is an Italian motorcycle company, founded in 1945, is one of the seven marques owned by Piaggio, the world's fourth largest motorcycle manufacturer. 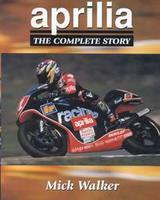 Aprilia, The Complete Story by Mick Walker (2000). Bestselling author Mick Walker delivers the complete story of Aprilia's rise to international prominence. Superbly illustrated with many rare colour and black and white photographs, Walker brings the colourful history of this powerful Italian marque vividly to life through comprehensive coverage of Aprilia's successful designs in road, racing, off-road, enduro and world superbikes. Complete with detailed specification tables.